Chiropractic within the UK is a statutorily-regulated profession and should not be regarded as a treatment, intervention or mono-therapy. 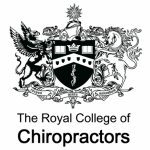 Chiropractors provide a wide range of treatments/interventions including, but not limited to, manual therapy, exercise rehabilitation and self-care advice, and utilise psychologically-informed programmes of care. Chiropractic, like other healthcare professions, is informed by the evidence base and develops accordingly.